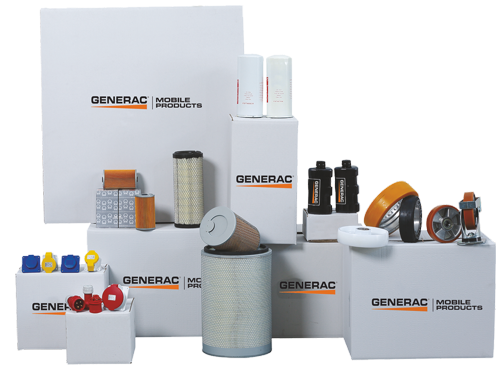 Offering and delivering good and quick after-sales service is Generac Mobile® first objective. Generac Mobile® service department is always at full disposal of our customers, to solve any problems detected on our products with a professional approach. Moreover, the company is constantly focused on developing a network of local service centres across the world. We are able to take action quickly, repair damaged machines and replace damaged components with original spare parts. To help you find and order the parts to replace, each product comes with a detailed instruction manual complete with an exploded drawing of the machine with all the reference codes.